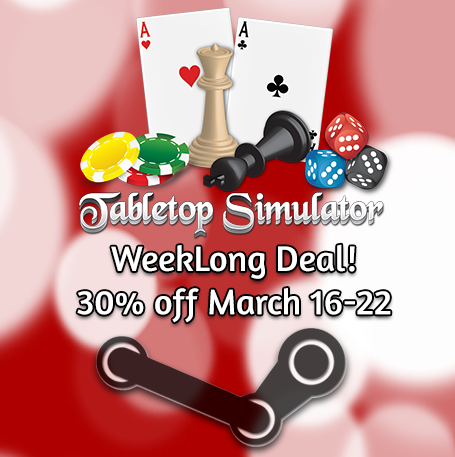 03/16/15 – Tabletop Simulator on Sale for 30% off on Steam! Tabletop Simulator is 30% off on Steam as part of their WeekLong Deals! If you missed the last sale, this is your chance to get it at this discounted rate. This applies to both the individual copy and the 4-pack. Sale ends on Sunday March 22nd at 10am PST!